Jacob Dyer on the job installing a new solar site in Kanawha County, West Virginia. Murrow is African American, and although he didn't set out to talk about race, the topic came up in many interviews he recorded with his grandfather, and the generation of people who grew up in the coal camps before and during the Civil Rights struggles. He met his co-producer, Mike Landes, in graduate school at Duke University. The two became friends and began working on a project together to interview people from Marcus’ home of southern West Virginia with the aim of telling the untold stories of Appalachians. “I think a big part of me wanting to do this documentary was so that policy makers across the country understand that... West Virginia needs infrastructure help. We need opportunity here for everyone so we don't have to leave,” Murrow said. Also this week, we’ll meet the next person in our Struggle to Stay series, veteran Mark Combs, who has decided to leave West Virginia. In this first story, Combs talks about why he wants to leave West Virginia. He partially blames political leaders for not creating more economic opportunities for young creative people. Jacob Dyer at Coalfield Development Corporation’s new solar power training site in Dunbar, Kanawha County. “I’d love to be able to stay here. I do love this state and the people are great. But it’s just dying. If you want to succeed you’ve gotta leave,” Combs said. 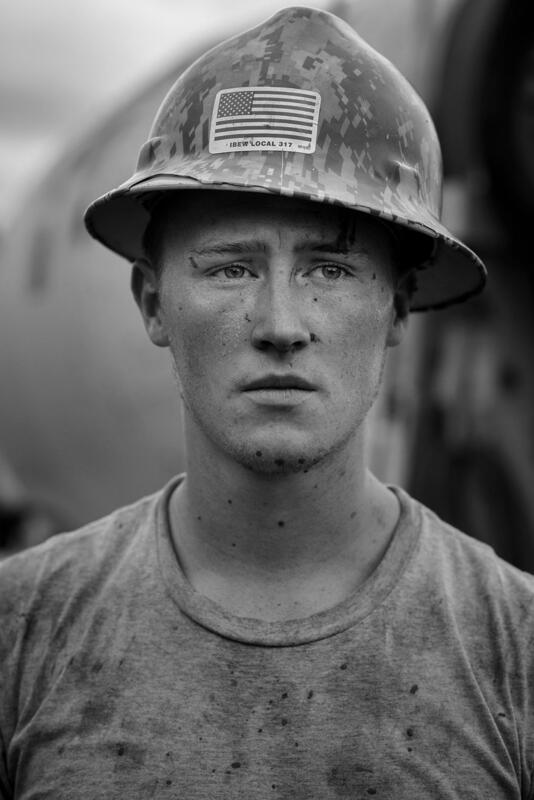 And we’ll also check in with Rebecca Kiger, a native West Virginian who’s been documenting Appalachia through photographs for the past few years. Kiger recently documented workers who are learning to install solar panels, as part of a program through the Coalfield Development Corporation. "I felt hopeful after listening to them talk about ways they can transform communities," Kiger said about that assignment. Music in this episode was provided by Marisa Anderson, Dinosaur Burps, Kai Engel, Dylan Moses McGonigle and Ben Townsend. Inside Appalachia is produced by Jessica Lilly, and Roxy Todd. Jesse Wright is the executive producer. Patrick Stephens is the audio mixer. Claire Hemme also helps with the show.